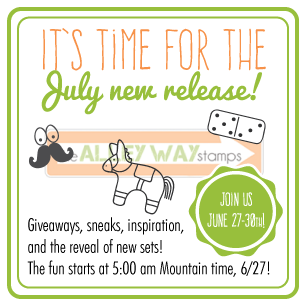 The Alley Way Stamps: Video: Colored Modeling Paste "Frosting" + Yuuuum! Video: Colored Modeling Paste "Frosting" + Yuuuum! Hi, it's Michelle here. For my video today, I have a super cool technique to create a frosting-like appearance using modeling paste. This is the perfect technique to use with the cupcake stamps in the Brain Freeze stamp set! Hi everyone, Francine here! Today, it’s the last card I share here on the TAWS blog, so it’s time for me to say goodbye. I decided to step down from the design team. It has been wonderful working with these lovely and talented ladies! A big hug to my teammates and also to Alison and Chrissie! I’ll miss you all but I’m sure we’ll keep in touch! 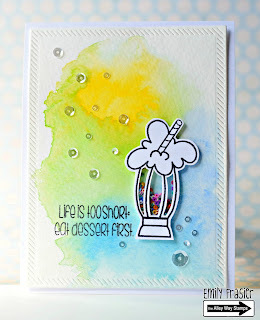 Here is my last card using the new Brain Freeze stamp set and two older sets called: Face it and Alphabet Soup. Hi it's N@ Ali. I used a few older sets for this card: Got it Covered, Calypso and Gabfest. Hello! Dana with a card featuring the new Lite Bright set. This card is also a little different for me, i usually don;t do collage like cards very well! I don't know where this came from but i went with it!! Hello, Emily here. 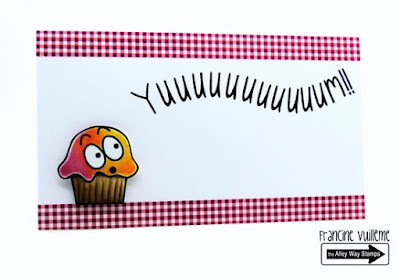 Today, I'm sharing a card made with the set Slurp. 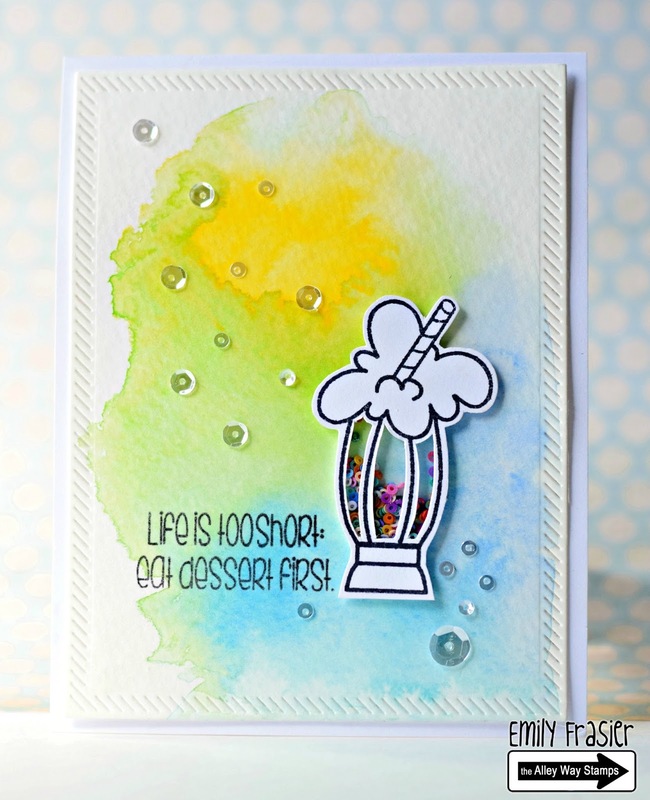 I made a milkshake shaker and adhered on a watercolored background. The sentiment is also from the same set. Oh, these are sooo fun! 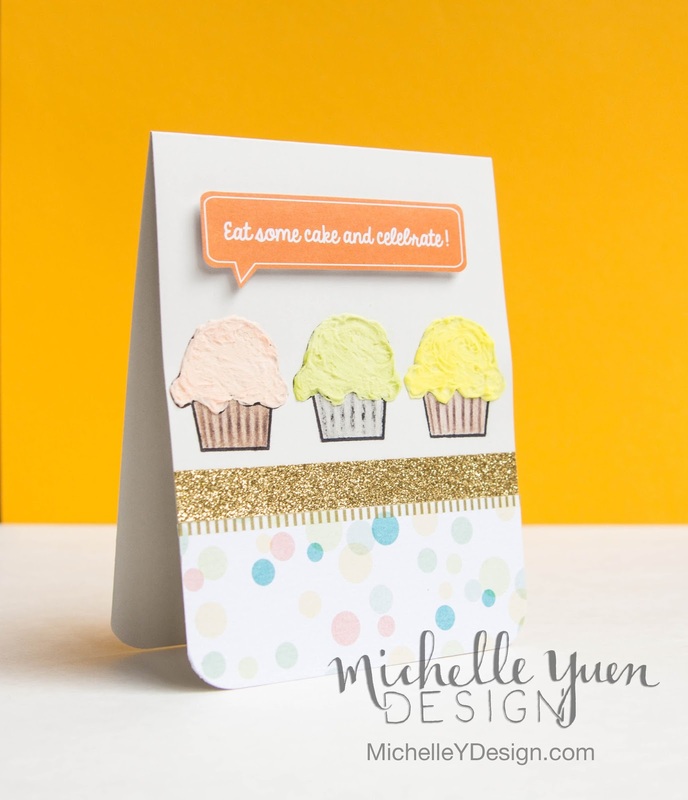 Michelle's card is so clever and so fun - adds so much to the yumminess of her card!! 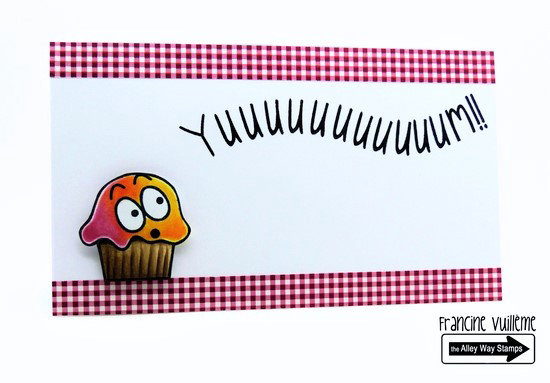 So super sad that Francine is leaving -but her card has left me with such a big smile on my face!! Excellent!! Love the simple cuteness of N@Ali's baby card!! 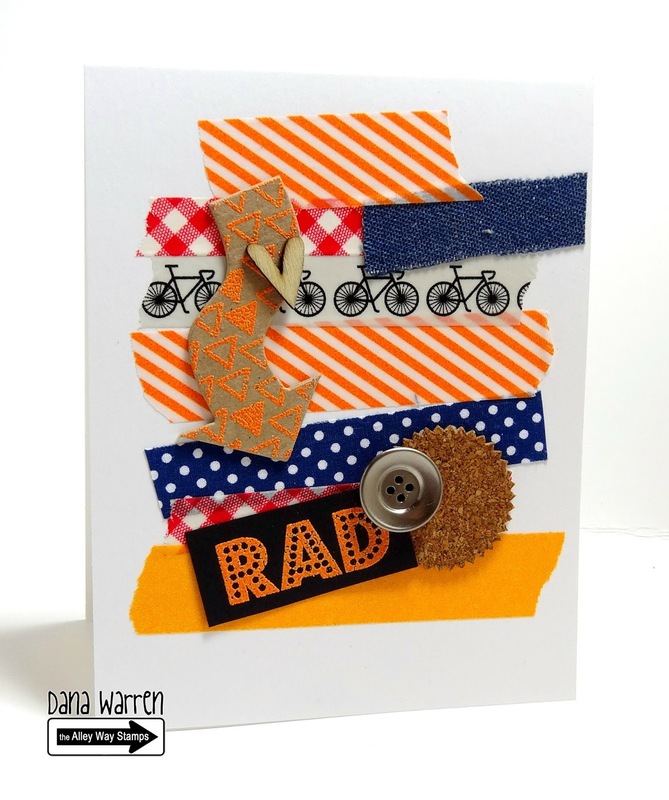 WOW is all I can say about Dana's collage card - so super cool and funky and a lot RAD!!! Emily is a genius - what a fun, and super amazing little shaker she has created!! Love it so much!! I am always treated to awesomeness when I visit this blog! !